Can you feel the excitement and freshness in the air? Fall is upon us and there’s no time like now to book your Finger Lakes vacation rentals. Summer flew by and you were busy with so many wonderful things to do and memories to make. As we enter into a new season, taking a special getaway to the Finger Lakes area and Skaneateles would do you wonders before we get into holiday preparations. You deserve a sweet and relaxing break. All year long, there are so many amazing and exciting events going on here in Skaneateles and throughout the Finger Lakes area. 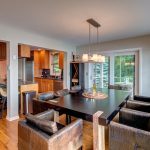 When you are looking for places to stay in the Finger Lakes, making one of our luxury rentals your home base will put you in a great spot to explore many places with ease. Skaneateles Lake is still teaming with activity. The air may be cooler but you will enjoy the breeze through your hair as you board one of the sightseeing or fishing charters right here. Boaters enjoy this time of year with the quieter space and the fishing is still exceptional. The Village shops and restaurants continue to provide exquisite fare and shopping opportunities. Be sure to take in the gorgeous artwork at our galleries! If it’s antiques you enjoy, you will not be disappointed with many fine shops available for your browsing pleasure. Don’t miss the U.S. Vintage Grand Prix, one of the largest vintage racing events in the nation, featuring historic SVRA (Sportscar Vintage Racing Association) race cars from nearly every era, as Watkins Glen International celebrates its legendary history. Event takes place September 8-10, 2017 at Watkins Glen International Raceway, Watkins Glen, NY. Nothing can be more relaxing than booking one of our meticulously maintained and prominently located Finger Lakes Luxury Rentals. Everything is taken care of plus you have the pleasure of having everything you need right at your fingertips. With fully equipped kitchens, bathrooms and furnished private homes, you will feel totally at home and comfortable here with us. We aim to provide you with the most relaxing and memorable vacation here in the Finger Lakes area. Many of our properties are within easy walking distance to the village shops and restaurants. The lakefront will beckon you to sit and drink in the fresh, cool air and hear the happy sounds of the wildlife that calls Skaneateles Lake their home. With seven gorgeous properties maintained here in Skaneateles, we are certain you will find the perfect place to call your home-away-from home! See our lovely homes HERE and contact us to make your reservations.